Every job applicant ends up in a neat little feed with all their data, which you can sort, filter and search. It’s like magic. Or Excel. 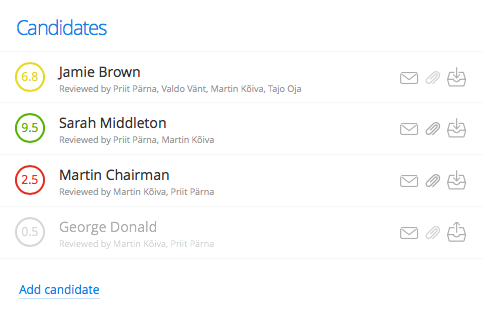 Jobkitten lets you share chosen job searches with colleagues to comment and review. Another great way to avoid talking to people in person! We give you a unique link for each application, which you can add to the job ad – that means no more looking for “that applicant with a degree in pole dancing” in your personal mailbox. All of our key features are mobile-optimized, so you don’t need to download apps or anything. Don’t even worry about it, seriously. I used to play Sherlock in my personal e-mail inbox, chasing job applications and forwarding them to my co-founders for review. 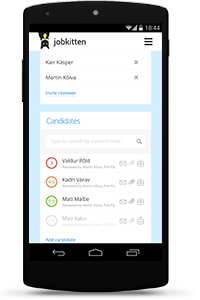 Jobkitten helps streamline the hiring process, saves us time and makes finding the right candidate a breeze. 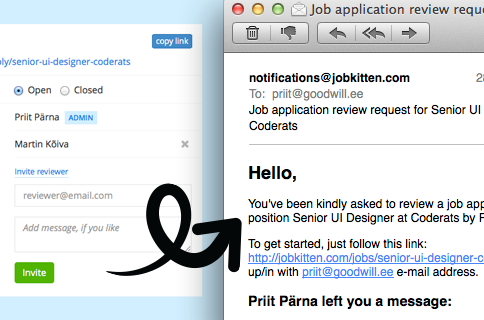 We hired a copywriter recently and used Jobkitten in the process. The possibility to invite colleagues to review the different applicants really made it worth it for us! Highly recommended for skipping a bunch of pointless manual work. Unlimited companies. 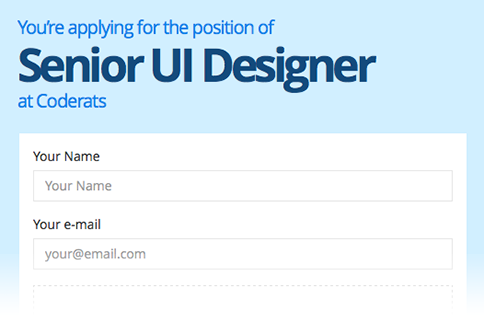 Unlimited candidates. Unlimited users. No credit card required. Start hiring smarter right meow! Subscribe to our awesome HR tips. No spam. Only the good stuff. Promise.